It is called the 'Eurotower' - a 40-storey-high skyscraper in the financial district of Frankfurt - Germany's equivalent of the City of London. Yet it is not big enough to house the roughly 1,400 employees of the European Central Bank (ECB) preparing the decisions that will make or break the euro - ranging from interest-rate setting to buying bonds or issuing cheap loans to banks. Offices are being rented in three other buildings, while a new double-towered skyscraper - already delayed and running over the initial €500 million cost - is being built. Some 2,500 employees are then to be housed in the new building, due to be ready by 2014. The extra office space reflects the ECB's increasing task list - from monitoring bailed-out governments to eventually supervising the eurozone's banks. Trade unions have rebelled against the ballooning workload and demanded that salaries are linked to inflation. They did not succeed. Because it would have meant the bank acknowledging it is failing in its core task - stemming inflation. 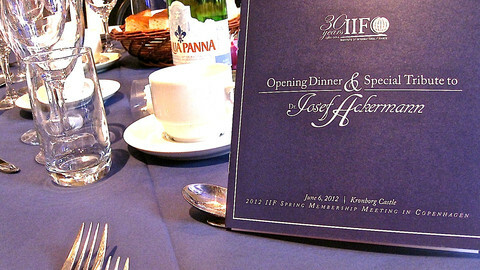 But in a press conference earlier this month in Frankfurt, ECB chief Mario Draghi promised to hire more staff. "I am especially impressed by the extraordinary commitment that our staff show every day in undertaking tasks that have become more and more numerous, difficult and psychologically demanding," he said. "It is no surprise that they see themselves as overworked, and our assessment is exactly the same," he added. A "very modest" increase in the bank's resources is being considered to pay for extra staff. Meanwhile, the little park in front of the Eurotower is still home to a few dozen tents and protesters from the "Occupy" movement that drew tens of thousands onto the streets last year. The camp, which has accepted some 20 Roma settlers, along with occasional stop-overs from homeless people - is now facing eviction from city authorities on 31 July on grounds of public hygiene. Protests and hunger strikes may prolong the deadline, but the outcome is inevitable, as other Occupy camps in big cities have been closed down. The lounge bar just across the park, at the bottom of the Eurotower, is thriving, however. Young men in suits and their dates in high heels and miniskirts were flocking to the terrace on a weeknight earlier this month. The view over the tent village nearby and the anti-banker banners adorning the huge euro-sign in front of the tower went unnoticed. One Occupy member, Regina, told this website it was disheartening to see that everything is back to business as usual. This is despite some bankers having participated in the rallies. "It's all about interest rates and profits on other people's misery, on debt, on food prices. People should go out in the streets and put pressure to change these things, but unfortunately it doesn't happen," she said. Among European policy makers, democratic scrutiny and accountability of the ECB is a marginal issue. In parliamentary hearings, few members raise the issue. And when they do, it usually those from small left-wing or Green parties. 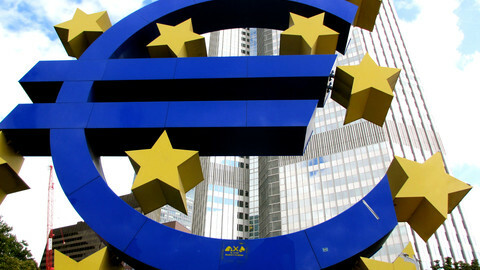 Belgian Green MEP Philippe Lamberts earlier this month accused Draghi of wanting to concentrate more powers in "the most non-transparent European institution" and make governments even more dependent on the ECB's whim. Draghi and other ECB officials in recent weeks have spoken about the need for more democratic scrutiny of the ECB if it is to take up more supervisory powers. It's up to the European Parliament, they noted, how this is managed. But the democracy gap is seen as a minor issue compared to the real elephant in the room - the question of what the ECB can do to prevent the breakup of the eurozone. 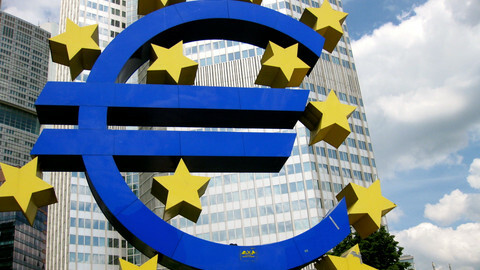 To outsiders, the ECB should be able to act just like the Federal Reserve in the US or the Bank of England in Britain. It should go ahead and prop up governments directly by offering them loans and buying up their bonds - a way of lowering a country's borrowing costs. But this is a no-go, banned by the rules governing the ECB. What they have come up with instead are a series of "non-standard measures" which stretch the limits of what is legally possible. In normal times, the ECB, which can as any other central bank issue unlimited amounts of electronic money, decided every week how much they would lend to banks - normally between €50-€200 billion. The banks would place their offers and the money would be handed out starting with the best offers. Often not all banks would be served, but in pre-crisis times this was not an issue because banks would just borrow from each other. All that changed after the collapse of Lehman Brothers investment bank in 2008. 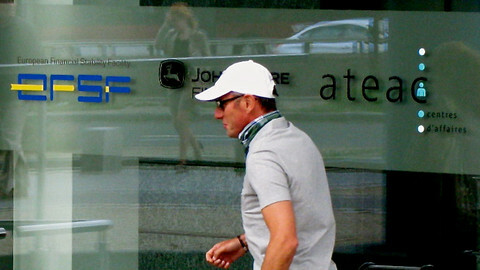 It marked the beginning of the financial crisis that later metastasised into the eurozone crisis. The ECB immediately scrapped the lending ceiling and started issuing loans for increasingly longer maturities. Rules were also loosened for the "collateral" - guarantees banks need to come up with when borrowing money. If a bank goes bust, as the US giant did, the ECB still keeps these assets which it can then sell to cover part of its losses. In Lehman's case, which had a German subsidiary that also went bust, the German central bank earlier this year sold some €2 billion worth of property loans which were on ECB's books as collateral. Since November last year, the ECB upped the ante with a staggering one-trillion-euro programme called "Long Term Refinancing Operations." Eurozone banks could borrow from this war chest at an interest rate of one percent for three years. Italian and Spanish bonds worth hundreds of billions were also quietly purchased on the market, which helped buy some time for the third and fourth-largest economies in the eurozone as they struggle to get their economies back on track. But all these measures appear to be insufficient. Spain is back in the limelight with unsustainable borrowing costs, a bleeding banking sector, worsening recession and crippling unemployment rates. Pressure is increasing on the ECB to step in again and issue more cheap loans, close its eyes to the quality of assets - including mortgages and private sector loans - that banks can give as collateral. And buy more Spanish bonds. So far, Mario Draghi has insisted the ECB alone cannot save the euro. The cheap-loans programme helped "buy governments time" he said, but it is up to them to reform their economies and convince markets. And what the ECB cannot solve is the core issue of having to steer one monetary policy for 17 different economies which are growing further apart. "Some need cheap money, some need less. This is the fundamental problem, the euro did not succeed in bringing the economies closer together. Instead we see more divergence," says Janis Emmanouilidis from the Brussels-based European Policy Centre, a think tank. "But the ECB alone cannot address that." And so it all comes back to the democracy issue. 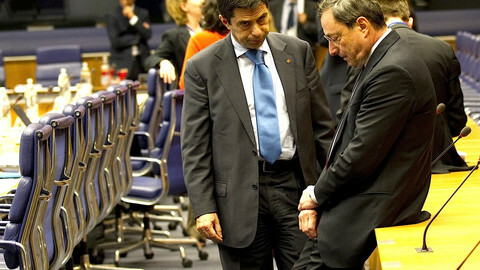 Is the euro worth giving up sovereignty, Germans paying for more bailouts, Spaniards and Greeks stomaching more austerity? "We have to come to this point where we address this question. Explain what it means if it all collapsed, the Deutsche Mark would explode and hurt exports, for instance," Emmanouilidis said. The German-Greek national is still hopeful that the "reflex" of struggling to make the European project and the common currency work will prevent countries from falling back in the trap of nationalism which caused two world wars in the last century. "But the general feeling at the moment is that at the top level they are not 100 percent sure it will work and they are willing to go all the way. And everyone, including markets, see that. So it becomes a self-fulfilling prophecy," he said. New ECB powers: the buck stops where? The EU ombudsman has launched an investigation into an alleged conflict of interest by ECB chief Draghi due to his membership in a club of top bankers. 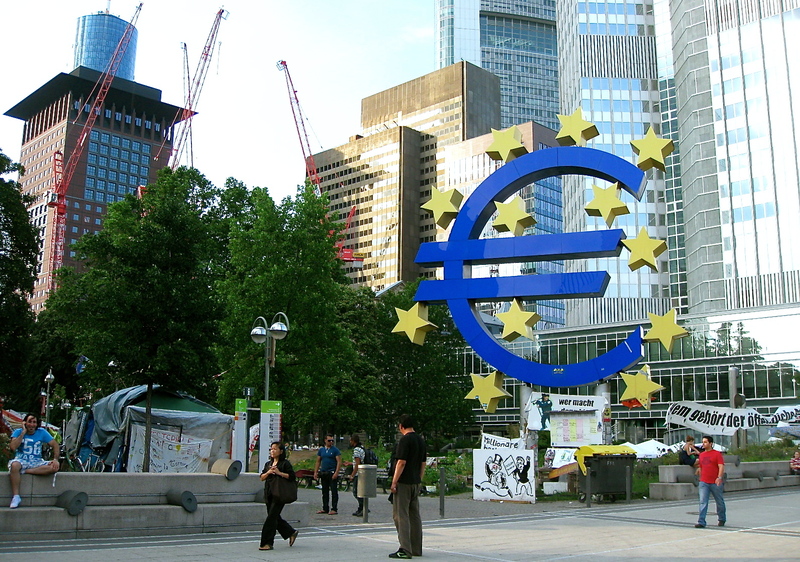 The two large blue and yellow euro sign sculptures, one located outside the European Central Bank in Frankfurt and another recently taken down by Frankfurt Airport, are facing uncertain futures. The ECB is rapidly becoming the most powerful - and the least transparent and accountable - institution in the EU.